Graham Lee has proven himself at the highest level over jumps and on the Flat. His long list of big triumphs include a Grand National win, in 2004, and a Gold Cup victory at Royal Ascot in 2015. Having ridden in pony races and left school aged 15, Lee had his first winner aboard the Dessie McDonogh-trained Blushing Pearl in a handicap hurdle at Navan in November 1992. He had always wanted to be a jockey and had five rides for Noel Meade before joining McDonogh’s County Meath stable and travelled to England in 1993 to join Mary Reveley’s Cleveland stable. He broke a leg in a fall at Sedgefield in February 1996 and, having lost a lot of weight, decided to try his luck riding on the Flat. At the time, he didn’t enjoy riding on the level and went on a high-protein diet to put on weight in order to ride over jumps again. Over jumps, he enjoyed his finest hour when partnering the Ginger McCain-trained Amberleigh House to a memorable victory in the 2004 Grand National. He also rode five winners at the Cheltenham Festival. 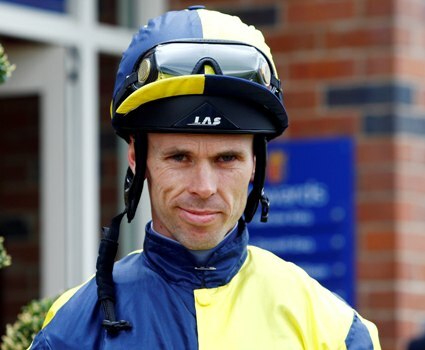 Ahead of the 2012 Flat turf season, Lee made the shock announcement that he would switch to riding on the Flat due to problems putting on weight. It worked out well, with Lee riding 108 winners that year, landing the Group 3 Chipchase Stakes at Newcastle on Maarek and the Stewards’ Cup at Goodwood on Hawkeyethenoo as well as three second places in QIPCO British Champions Series races. He rode one second place in 2013, failing by just a neck on Jack Dexter in the QIPCO British Champions Sprint, and he amassed 127 winners overall. In 2015 he rode a first British Champions Series winner courtesy of Ed Dunlop‘s Trip To Paris, who quickened up smartly in the closing stages to win the Gold Cup. Lee almost added to his tally on the fast-improving stayer when he finished a close-up third in the Qatar Goodwood Cup, as well as when second aboard Clever Cookie in the Long Distance Cup at Ascot on Champions Day.